The boys’ older sister and a friend came also came to visit the two grandmothers, Carolyn and her wife Carole. The teens were allowed to communicate by cell phone with friends back home, 200 miles away. “The cell phone is such a big part of teenagers’ social connections,” said Carole. That’s a decent compromise, especially because the teens agreed to visit to grandmas’ house. All four kids enjoyed old-fashioned pass times, like playing hide-and-go-seek with kids in the neighborhood, playing board games and splashing around in the pond. The boys are normally glued to gaming consoles. Some camps have a similar ban on video games, cell phones and portable devices. Technology is prohibited at Beam Summer Camp in Strafford, NH, just east of Concord. The remote location and lack of plugs make technology use nearly impossible. “I couldn’t get cell phone reception,” said my daughter Kristen, 24, who led two afternoon “domains” at the camp where students choose what project to work on every afternoon. Beam Summer Camp oozes creativity — without technology. Some families have technology-free Sundays. What would happen at your home if everyone — parents included — took a break from technology for a set time each week? How do you manage technology use in your family? Have you brought up the issue at family meetings and asked for input? Are TVs and computers in common areas of the home and not sequestered in bedrooms? 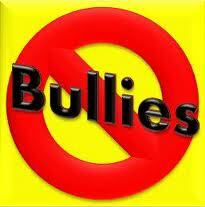 Do your kids self-monitor agreements made or are you judge, jury and police officer? When you shut down technology, be prepared to allow boredom, from which creativity emerges. Daydreaming, reading, and staring at a spider’s web calm the soul. 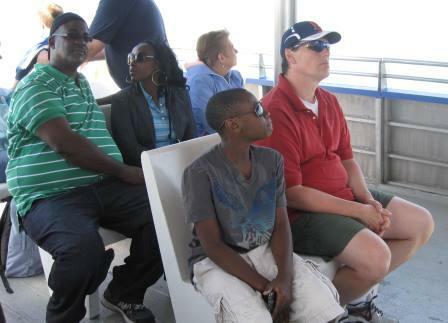 The young man in the front in the khaki shorts and his parents behind are enjoying a whale watch. Notice what's in his hand, ready for transmission. Like many kids his age, he has a constant electronic companion. He can be commended for knowing how to sit quietly, a good skill to have when on a boat, in a car, airplane or at church. Parents quickly show their family management skills on vacation, when there’s an audience, new situations and the pressure to have fun because it’s vacation. Good parenting starts at home when there’s no audience, familiar surroundings and nowhere special to go. That’s called choosing a good time for “training,” an old-fashioned word to teach the child about the rules of the world. You can’t always have your way. If you behave recklessly, you can get hurt, hurt others, or even die. Sometimes you need to be able to sit down, be quiet and wait. Life is easier when you can get along with other people. When you’re tired, rest. When you’re hungry, eat. When I started coaching one of my clients, call her Jenn, with six children in a blended family, she couldn’t take her gang out in public. When she started practicing positive discipline on a consistent basis at home, things changed. She learned a few simple habits. 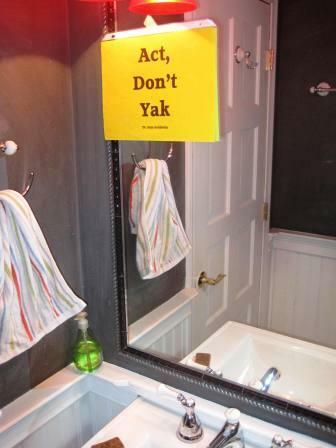 Act, don’t yak (Dr. Sam Goldstein) — which means take action before you get mad. Let kids work things out as much as possible so they can learn to get along with each other. Allow natural consequences to happen — such as you have to swim in your shorts if you forget your swimsuit. Make logical consequences for misbehavior related, reasonable and respectful (Dr. Jane Nelsen’s 3 Rs) That means if they won’t put away their iPhone during the whale watch like you agreed upon in advance at the family meeting, it will be taken away for a week. It doesn’t mean that if you won’t clean up your room, your iPhone will be taken away for a week. Can you see how the first is related, respectful and reasonable and the second is not? Kids feel safe with boundaries. When Jenn goes out in public with her gang now she immediately sets boundaries before the kids push for them. Good parenting is about constantly and consistently setting boundaries. It requires self-discipline! Kids like regular food and rest, which can be compromised by vacation. They and you won’t be at your best when you push too hard and do too much. Kids are easily pleased. It’s adults who feel guilty and restless when they can’t provide trips to Disney, Hawaii and Aspen. Kids can be thrilled to spend an afternoon fishing at the local pond with Dad or Mom showing them how to bait the line, sit still, enjoy the great outdoors and be with each other.